What is an AARE auctioneer and what does it mean to you as a seller? Our auctioneers with the AARE designation have gone the ’extra mile’ to ensure they offer the highest level of professionalism and the most up-to-date information when it comes to selling real estate. Less than 400 people hold the A.A.R.E. (Accredited Auctioneer Real Estate) designation, yet over 1 million properties were sold at auction in 2013. Talk with us about your Real Estate for expert guidance. 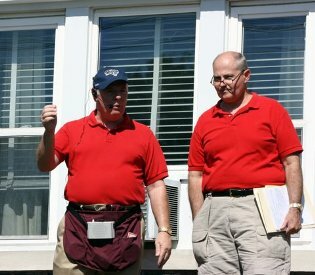 An auction is an event where bidders "win" the property and are happy knowing they only paid one bid more than someone else was willing to pay. Competitive bidding will deliver 100% of the present cash market value for your property on a specific date all cash in as-is condition with no contingencies and a quick closing, with most often no seller commission. Buyers most often pay our commission. Less than 400 people hold the A.A.R.E. (Accredited Auctioneer Real Estate) designation, yet over 1-million properties were sold at auction in 2009. Competitive bidding will deliver 100% of the present cash market value for your property on a specific date all cash in as-is condition with no contingencies and a quick closing, with no seller commission. The buyer pays our commission.